Did you know that only 50% of teen mothers receive their high school diploma? Discrimination at school can play a big part in pushing them out and keeping them out. 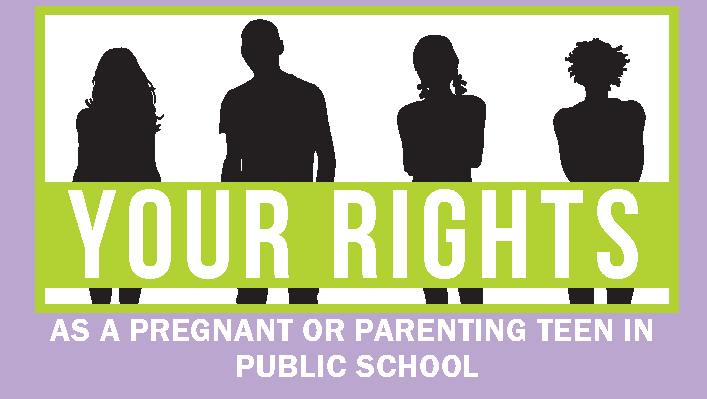 Pregnant and parenting students, however, do have rights. If you are a pregnant or parenting teen or care about someone who is, download our new wallet card (a Spanish version is coming soon). It outlines the rights that teens in Washington state need to know to stay in school and succeed as parents and as students. If you’d like to learn more, I will be speaking on the issue on Friday October 11, 3013, at a forum at the University of Washington. For more information on the U.W. event, visit the Forces of Change: Law, Policy and Equity in Washington State Education website.